Vertebral subluxations are a spinal malfunction that occurs in the normal course of daily living. As the spinal segments shift out of their normal alignment, the hard bones injure the very nerves they were designed to protect, exerting pressure that slowly interferes with your nerves’ normal energy flow. While subluxations can result in pain, quite often they do not, and, if left uncorrected over a period of time, they can disrupt your nerves system’s normal function of relaying vital nerve impulses to essential body parts. A fall, injury, trauma, improper sleeping habits, poor posture, obesity, stress and more. Could my pain be a helpful sign? Yes! Those pains you may have been hiding with Pills, injections and creams are really trying to tell you something. Pain is not the problem. Pain is your body’s alarm system. It alerts you when something is interfering with your health. By ignoring the cause of your pain, you could be inviting severe consequences, possible long term effects include spinal joint degeneration, nerve damage or organ problems that may not become evident for a long time. The doctors at sfcc are trained to restore the misaligned spinal segments to their proper position in the spinal column, using a procedure known as “spinal adjustment”. Under normal circumstances, the adjustment is painless. In case of recent trauma, mild discomfort may be experienced due to the inflammation. Is regular chiropractic care necessary? Your spine is under constant strain during waking hours. Timely adjustments can help restore your body’s nuromasculoskelatal integrity. Even when you feel fine chiropractic can help your body maintain its required level of health and fitness Regular spinal check ups can help detect and prevent spinal stress due to subluxations. How old should a person be before they begin chiropractic care? 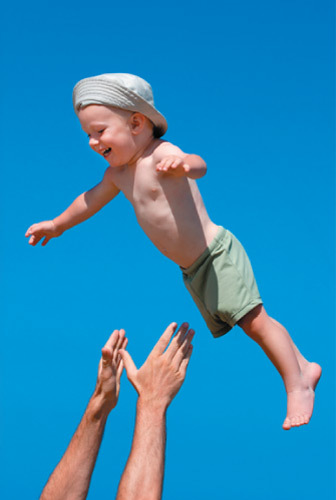 Our patients rang in years from birth to old age. Spinal segments can become misaligned regardless of age. Subluxations, left uncorrected, may disturb the delicate spinal cord and nerves which control the body’s function and growth. Early chiropractic checkups may detect spinal problems while they’re still easily correctable. Our patients come to us from all suburbs of the Sunshine Coast, from as close as Caloundra, Buderim, Mooloolaba, Maroochydore, Nambour and as far as the hinterland Noosa. Don’t wait for pain to bring you to our office.